Well now, it’s a new year and I haven’t written anything since before Christmas! I’m not feeling so good, I don’t know if it’s a cold or allergies, actually not so bad, just not so good. It’s been a not very cold Winter so far. In the next week the temps are going to go down, finally. We have had colder days, but nothing very cold, very few “freezing” mornings, and no need for the fireplace or heat pump at all this new year, except for the A/C part of it!!! 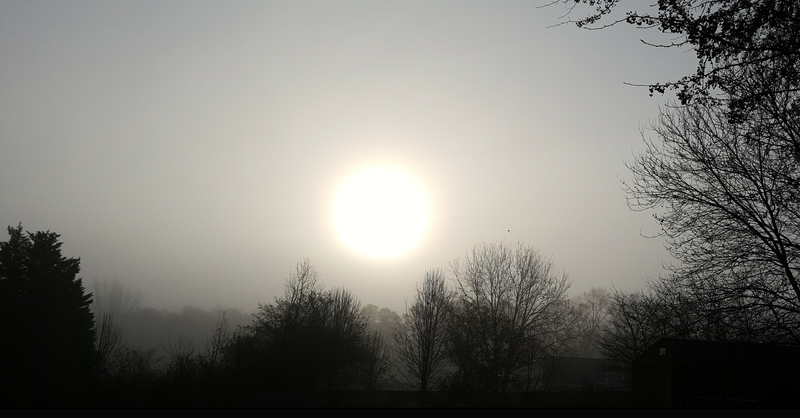 It was really foggy this morning, very foggy more of late, with it being practically spring/summer. Maybe we’ll get some snow in the next couple of weeks. That is always nice. We had none at all last winter (2011/2012) … not even an ice storm. We have so much clean up to do, now that Christmas is over, but motivation when it’s dark out, but warm, no sunlight, no firelight. Blah.